Here are three chapters from my book Driving Mr. Feynman. 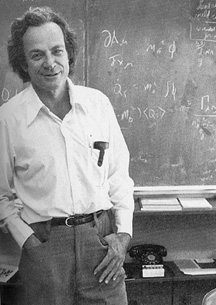 It's about my experiences with Richard Feynman, Nobel Laureate in Physics. I'm currently looking into publishing it as an eBook. What does Feynman have to do with my Roadside Dog music Website? Well, he kind of inspired me to try the life of a professional musician. I was about to graduate and I asked him what he thought of the idea. and what did I have to lose by trying to make a living at music for a while? So, I felt empowered by his advice, and did start playing for a living after graduating.